The construction tradition of buildings like this one has completely disappeared. At least they don’t build buildings with this unity and with such clear space clearness anymore. The fact that nowadays contemporary art is not hanged, it is installed, has given examples where the success of spaces with permanent art installations, such as the Dia Bacon Foundation or the Chinati Foundation, discover the precise and attached relationship between art and space. This is perhaps an antagonism to the constructive excess of the last century, where thousands of square meters have been built in museums without any thought about it. 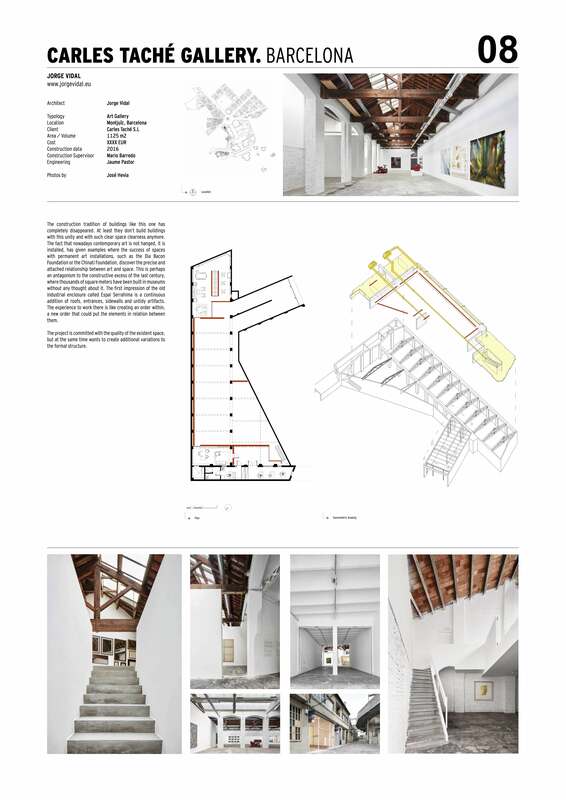 The first impression of the old industrial enclosure called Espai Serrahima is a continuous addition of roofs, entrances, sidewalls and untidy artifacts. The experience to work there is like creating an order within, a new order that could put the elements in relation between them. The project is committed with the quality of the existent space, but at the same time wants to create additional variations to the formal structure.